What I like about Ottawa is the fact that Spring last exactly one day, yep 24 hours and then boom we are in the heat of Summer. After the awful and long cold Winter was it 6+ months I am not complaining. On the First of May we are just a week away from the Tulip Festival in Ottawa a 65 year old tradition, a gift of the Royal House of Orange (The Nederland). The Rideau Canal will re-start its boating activities, first filling it, which will take about 48 hours. The trees are full of buds and lots of flowers have started to appear. In April I put in about 76 hours of volunteer time at the National Gallery. 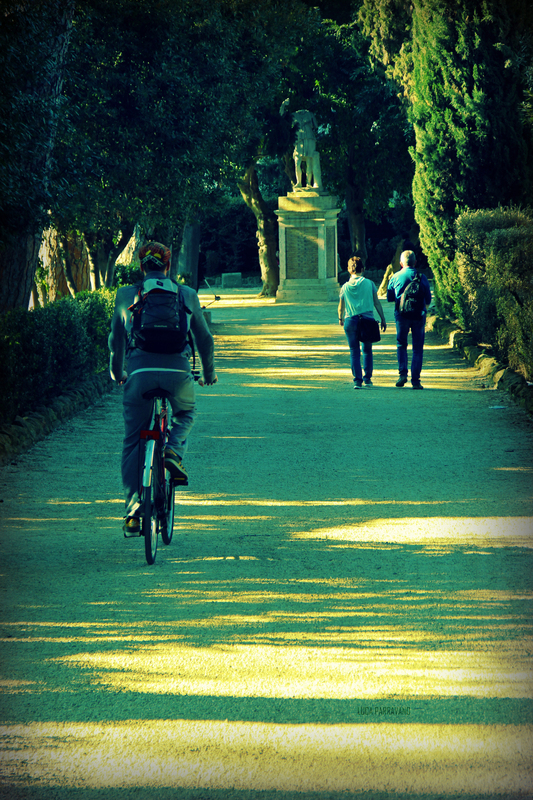 So here are some photos of Rome in Spring, if you feel like just getting on the plane and going to Italy. 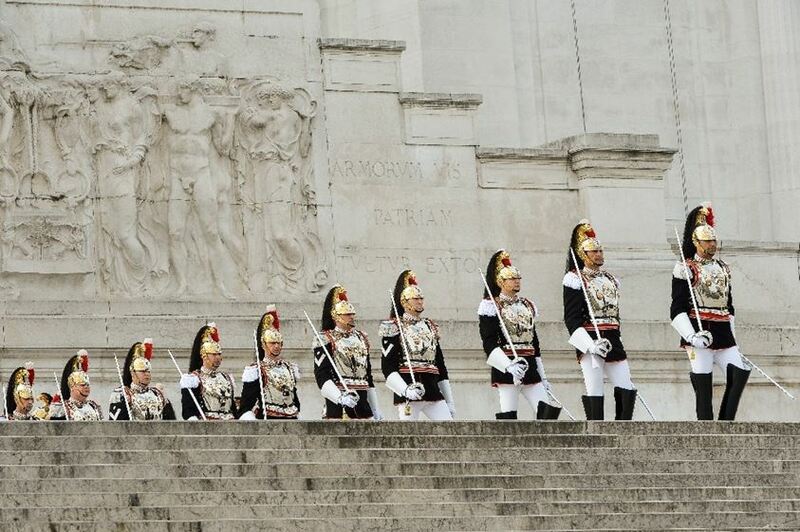 The Corazzieri, Italian Presidential bodyguard at the Vittoriano in central Rome. 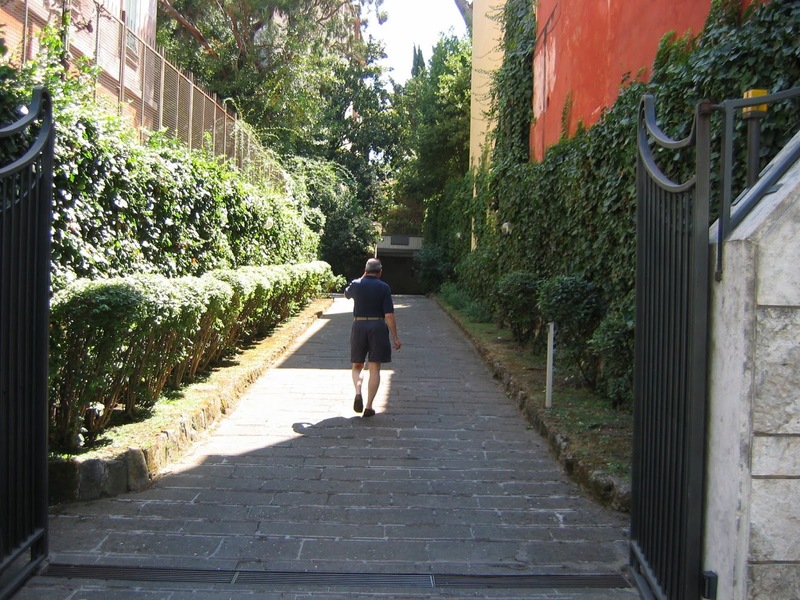 Neighbourhood scenery, Corazzieri at the Quirinal Palace, a frequent scene in Rome, part of everyday life. 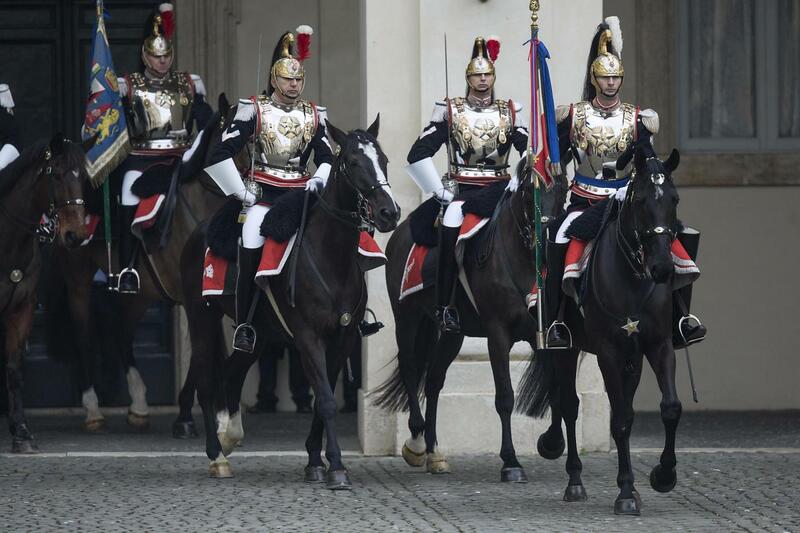 You have to be a minimum of 6.3 feet to be in the Corazzieri, they are very tall guards. 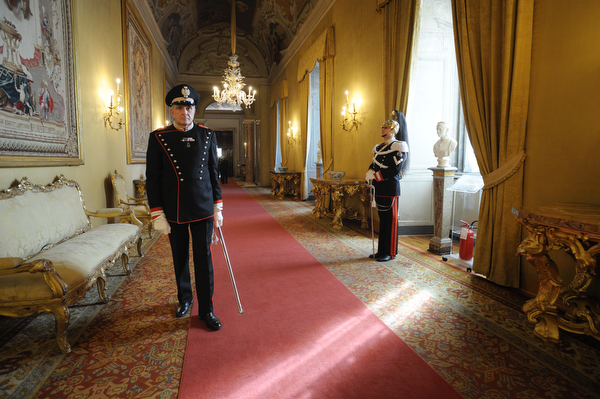 Inside the Quirinal Palace an Officer and guard, note the white gloves and he sword, part of the ceremonial. Beautiful palace built by the Pope as a summer retreat on the Quirinal Hill just 2 Km from the Apostolic Palace on Vatican Hill. It became the Royal Palace in 1870 when the King of Italy relocated the Capital from Turin to Rome. 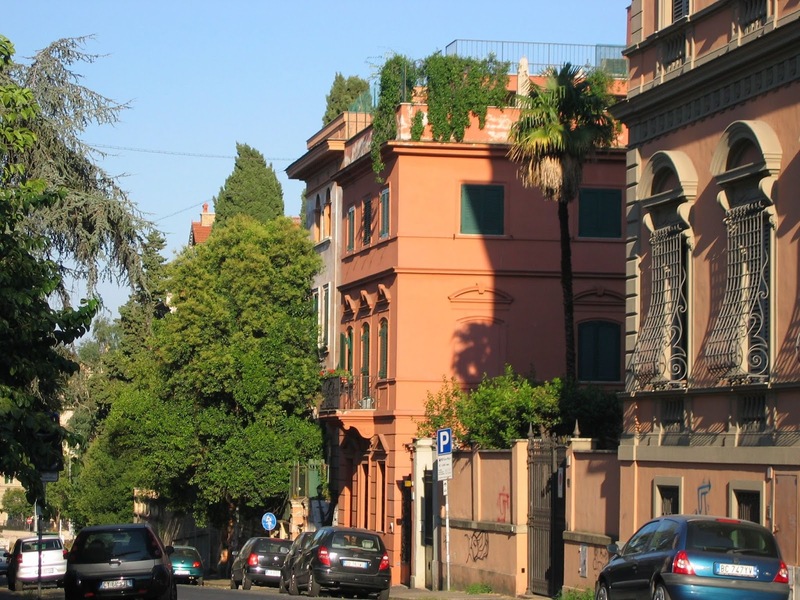 It is now the Official Residence of the President of the Italian Republic since 1946. It is an enormous place, in ancient times the Baths of Constantine stood on the site with the Temple of the Egyptian Goddess Isis. 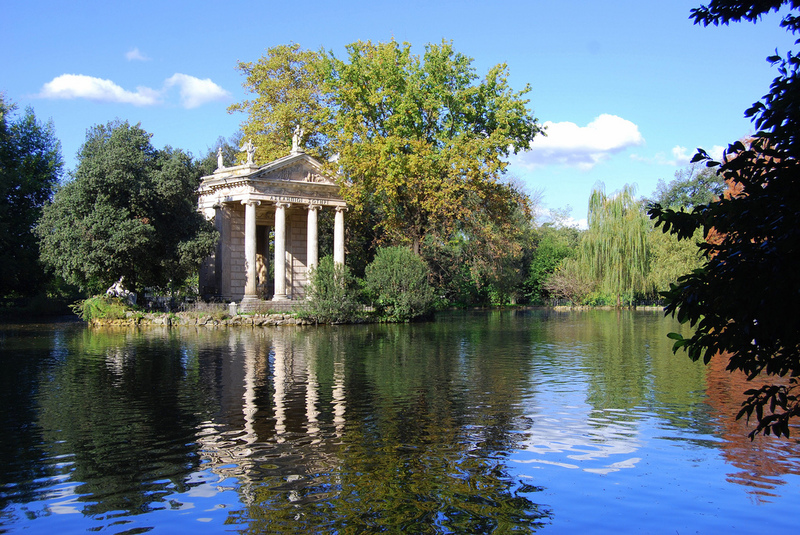 The beautiful and rare marble of that temple were re-used in the Palace of Prince Colonna which is just steps away. Open on Saturday morning only. The Colonna family can be so gracious that way with the masses. 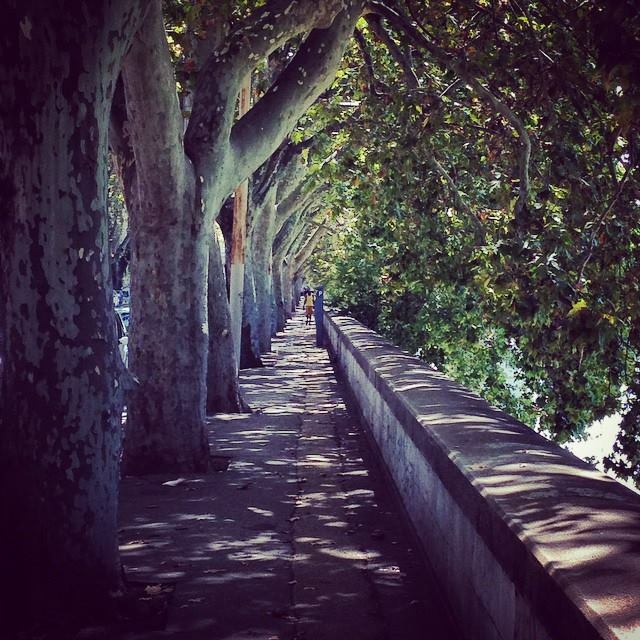 LungoTevere, the sidewalk along the Tiber River, a shady oasis in the heat of Summer. 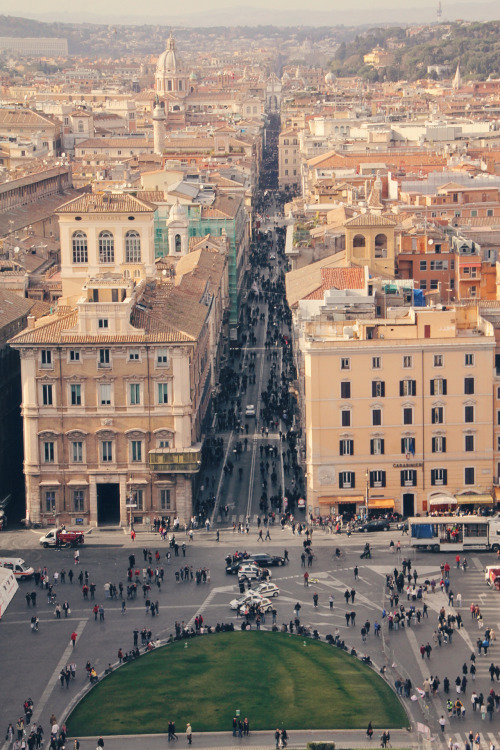 Piazza Venezia in central Rome, with the old Corso stretching all the way down to Piazza del Popolo. The Palace on the left of the photo is the Bonaparte Palace where the Mother of Napoleon took refuge after her son was exiled. 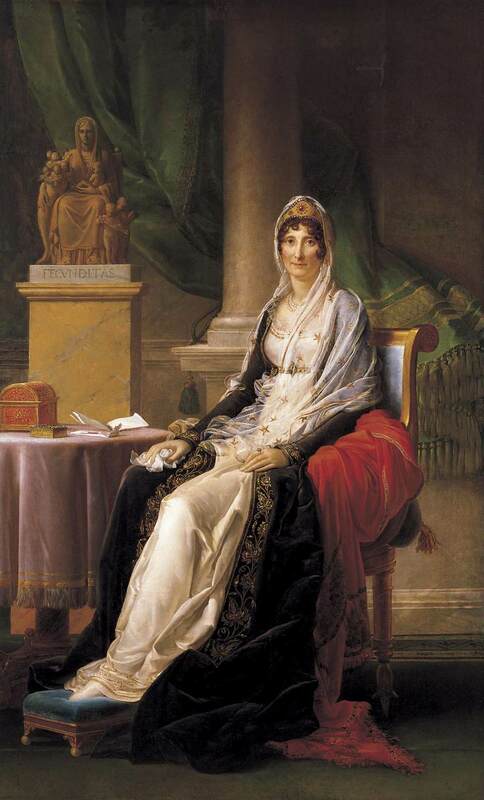 Madame Letizia lived for many years in that Palace in seclusion and was under the protection of the Pope. The little green loggia is where she sat everyday watching the Piazza below. The building on the right has a yellow awning and it is a good place for a cup of Espresso, only 0.80 cents if you drink it standing up at the bar and 5 Euros if you sit down. 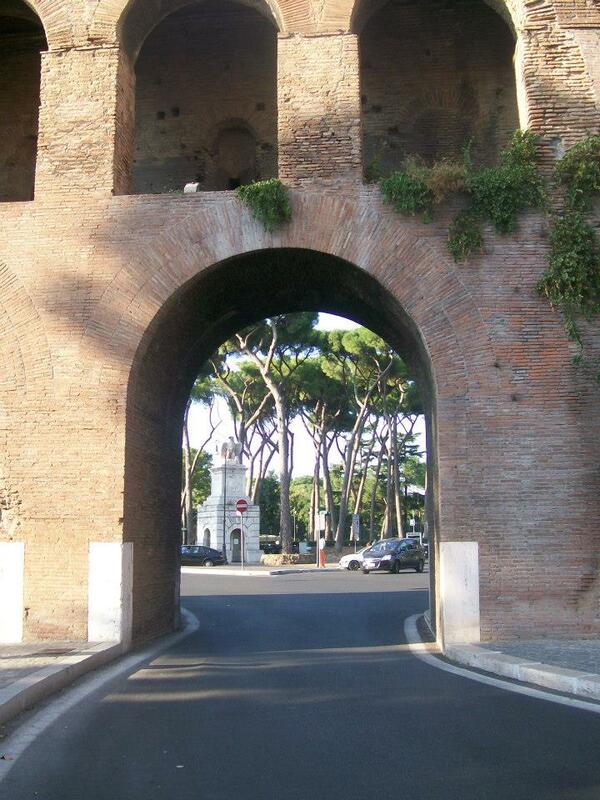 The Pinciana Gate in the Aurelian Walls of Rome, looking out towards the entrance to the Villa Borghese gardens. 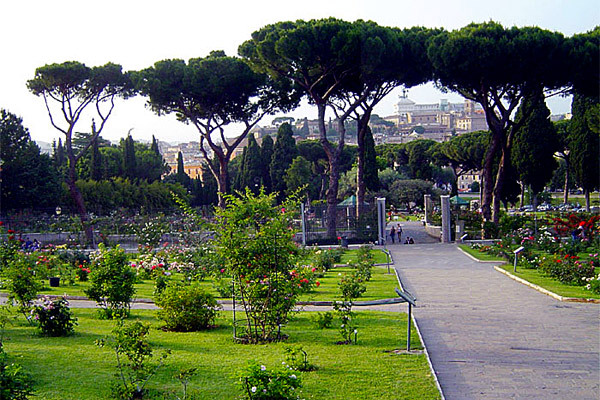 Villa Borghese Gardens in central Rome, such a peaceful and beautiful place, so very nice to walk in. 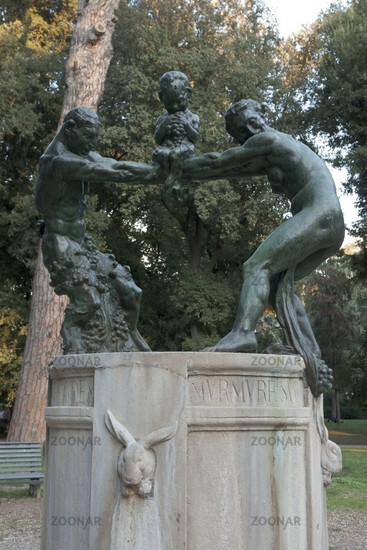 One of my favourite fountain in Rome, the Family of the Satyr in the park of the Villa Borghese. 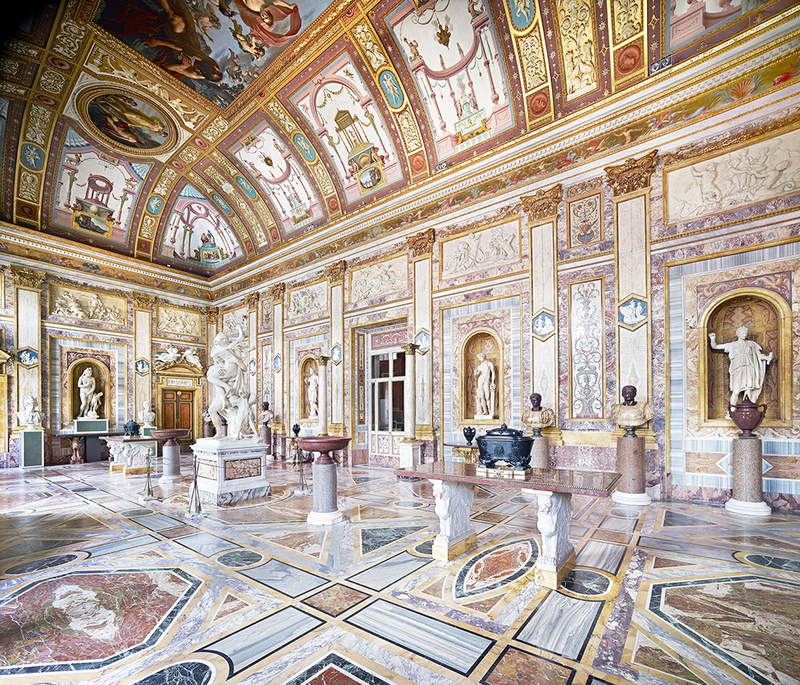 Entrance Hall of the Villa Borghese museum, built by Cardinal Scipio Borghese the nephew of the Pope, simply as a place to rest and have lunch with friends. I love the coloured marble floors. No one ever lived in this palace, it was just a quiet day retreat for the Cardinal. This photo shows you the wealth of the decor a bit of a sensory overload. 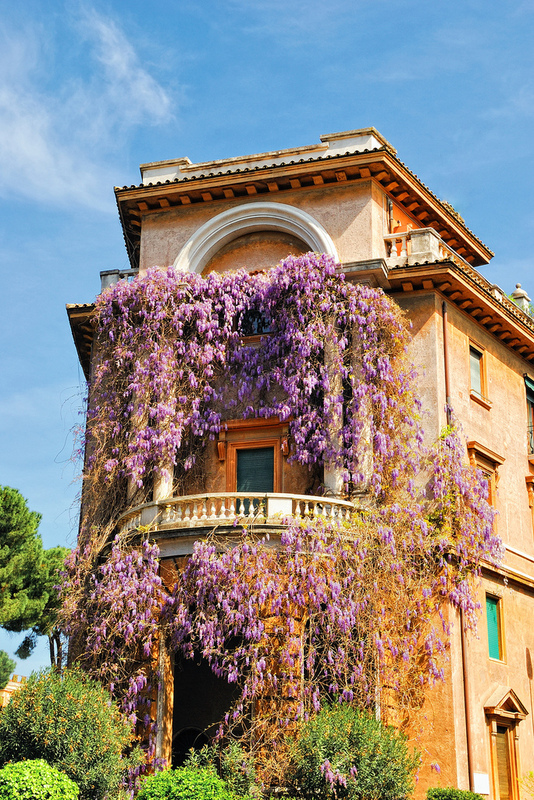 Since it is Spring, a former neighbours house in Rome covered in Wysteria in May. It only lasts about 8 days a year. Just beautiful to look at. The house is on Corso Trieste. I often wondered who lived there. The entrance portico of the Villa Giulia built by Pope Julius III in 1551 as a retreat to get away from the Vatican and the politics of it all. Today it is the Etruscan Museum. 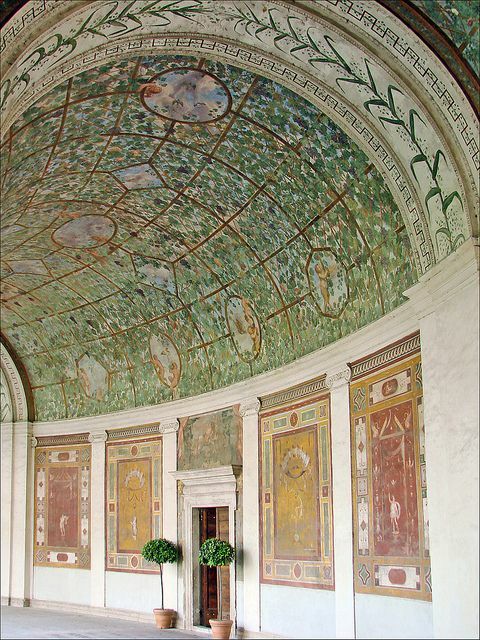 It is decorated as if it was an antique Roman Villa. 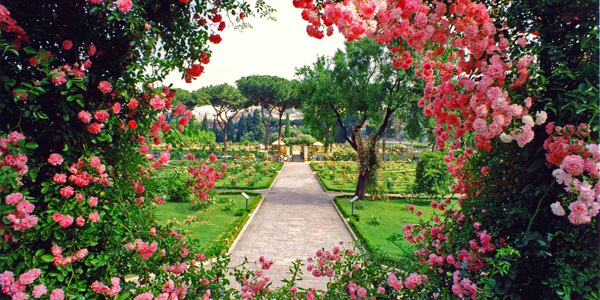 Rose Garden of the City of Rome across from the Circus Maximus and the Palatine. It was the former Jewish cemetery of the City. Jews have lived in Rome for 3000 years, we have stories to tell. 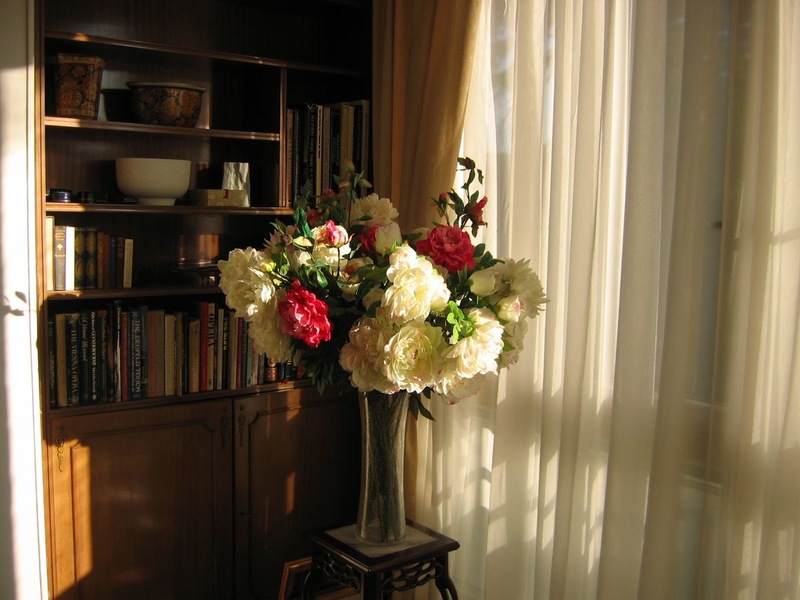 A corner of our living room on Via Dei Villini in Rome, Spring of 2011.